run lucas run: making a new list for a new year. making a new list for a new year. new kits have been created for 2017! tucked in my desk drawer is a letter i wrote myself last new year's eve. i'm anxious to read and remember what that girl wrote to this girl. i've been writing new year's letters to myself since high school. it's the best way to see my growth from year to year. to write down secret wishes and remind myself of what's really in my heart. setting goals. and making them. i love to gather the ones i'm celebrating with around the table. 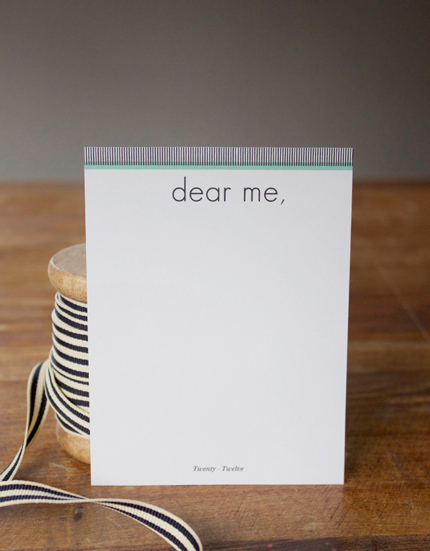 pour us all a glass of something bubbly, turn up some good music and pass out these little cards. andrey and i keep ours up on the refrigerator and love to remind each other of the things we'd hoped for ourselves throughout the year. we write our dear me letters and seal them up tight. we ask the littles their favorites and giggle a bunch when we read them their answers from last year. i like to have them draw me a picture of themselves on the back - so that we can see how their drawings have changed during the year, too. i worked up our new kits last week and asked my dear friend danyelle of dandee designs to style and photograph them for me. a quick little collaboration that will hopefully have us all doing the same thing this coming new year's eve night. the kind we'll want to keep. purchase and download your printable resolution kits here. print as many as you need. and be sure to let me know if you post about your goals! i'd love to know what you'll be up to this year. I love this idea. Thank you for sharing! Such a good idea, I have been thinking a lot about my upcoming goals, hopes and wishes for the new year, so this is just perfect! P.S. I got your sweet Christmas card, love it! And just know I didnt get around to doing xmas cards this year! Love this idea, thanks for sharing it, I hope you dont mind if I share it too. awesome! 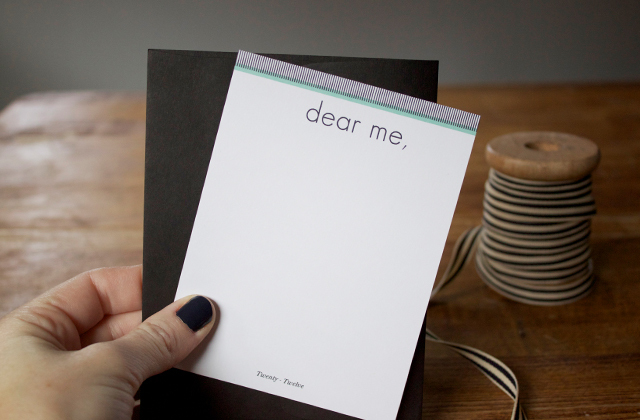 I was just thinking to myself, i wish my letter to myself could look that cute! you are amazing! Thanks for the download. We look forward to doing the kit!! Last year we did this, thanks to you! 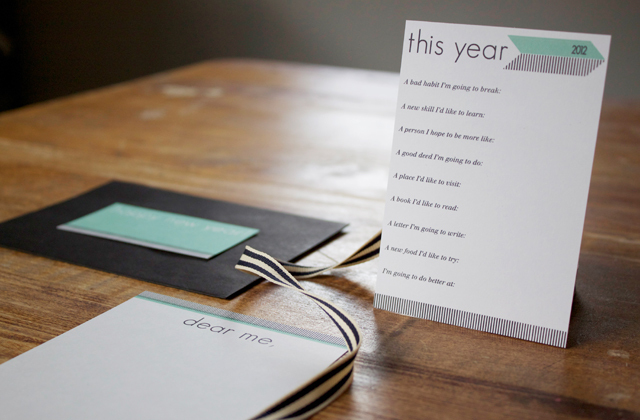 I just sent everyone their letters to themselves and I've been waiting for 2012's resolution kit! So, hurray! Thank you for doing this! I'm loving this new tradition. And honestly, it did me good this year. I 'spose I ought to blog about it. Thanks for sharing! I love them! 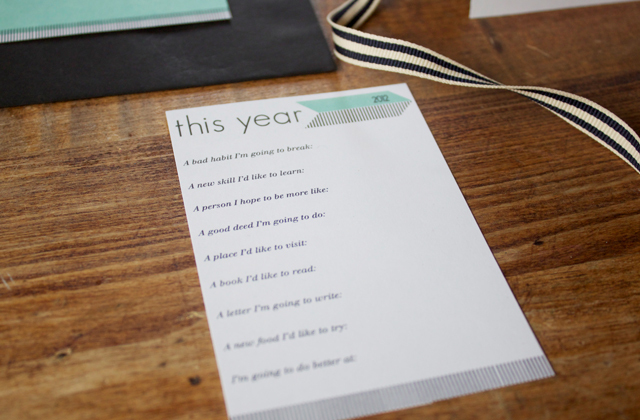 I am actually going to print these out this year instead of *just* loving the idea! Thanks Lindsay and Daynelle!! I love your printable!!! I have a similar one I created, but more of a drinker's version. LOL! What a wonderful gift! I, too love the coming of a new year and writing down my goals. Maybe one of your goals could be to sell some of the cute stuff that you make on etsy. I keep checking to see if you are selling anything. I LOVE the purse that you made me! You are so creative and talented! I just discovered your blog, and I'm downloading as we speak! just popped over from Dandee, and am loving this kit. good work! Hi Lindsay, I just wanted to let you know that I featured this project on my blog The Life Adventures of Mrs. C. as part of a New Years Resolution paper round up. Thank you for sharing! 3. Only check computer three times a day (morning, noon, and night) instead of constantly. 4. Read more with the kids. Thanks for your printables. I am going to use them with our kids tomorrow night. Going to do this with my Activity Day girls on Wednesday night...great idea and very cute design!! Thanks you two! Thanks for sharing, I love the idea. What a wonderful idea! I'm going to do it tonight with my children. Thank you!!! Really cute idea! And your blog is so pretty Lindsay! These cards are so wonderful! My fiance and I filled the "this year" cards out last night that I'll be scrapbooking...and I'll also be making copies for each of us to tuck into our wallet (for him) and planner (for me). Thanks for sharing your awesome design! Thank you for sharing these awesome and helpful printouts. I can't wait to do mine. I shared your wonderful blog link in my parenting column I write for the College Park Patch online newspaper. You can see it here, thank you again for sharing your creativity. Hi! visiting via paisley press - dear lizzy - thank you so very much for this! on my to do list for next week x. That is such a great idea!!! Thank you! Oh Dear, this is so lovely and I would have like that so much but unfortunately I can not open the link. Can someone help me? Love this idea! Just found your blog through Marta Writes and I love it! Love this idea ! Thank you for the pdf. it's really good, thanks for share..